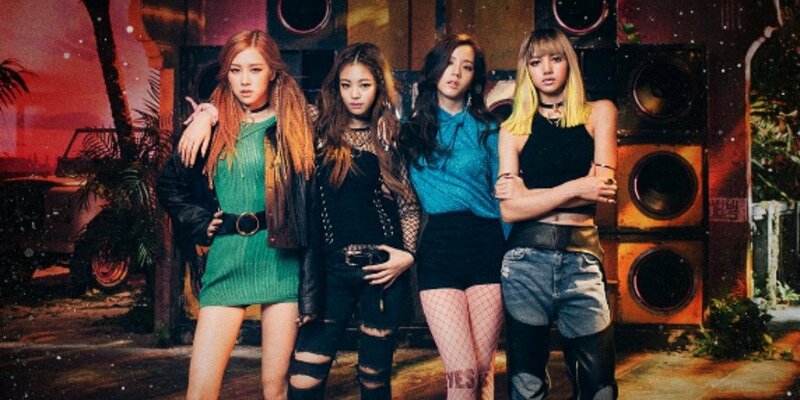 Black Pink has set a new record for MV views. 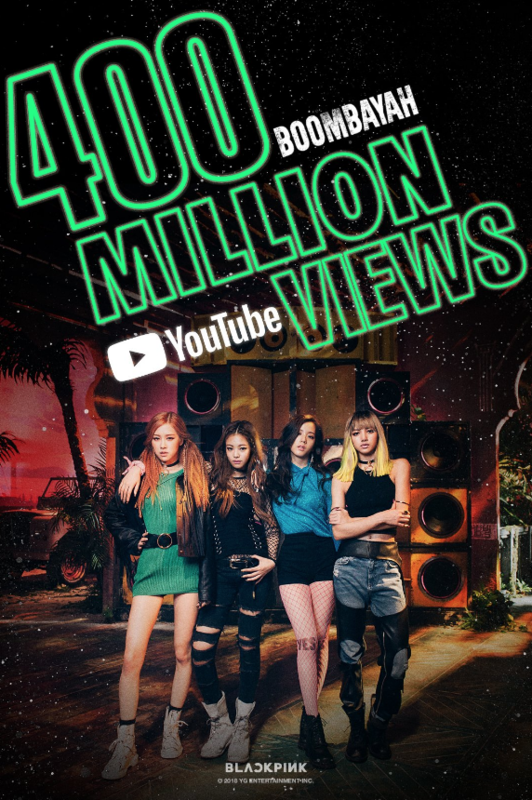 On October 23, "BOOMBAYAH" - originally released in August 2016 - hit over 400 million MV views on YouTube. This is the YG Entertainment girl group's third MV to reach the 400 million views milestone. They're also the first K-pop girl group to have a total of 3 MVs with over 400 million views. Last month, "As If Your Last" hit over 400 million MV views in a year and 3 months since its release. 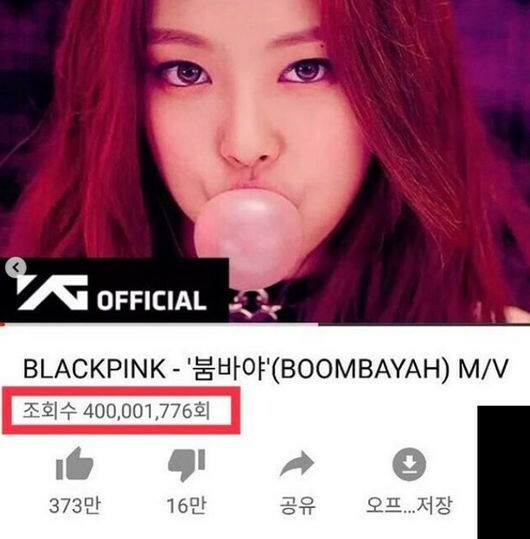 Finally, Black Pink's latest MV for "DDU-DU DDU-DU" also reached 400 million MV views in just 112 days. Meanwhile, Black Pink is gearing up for their promotions in the United States. The girl group has recently signed with Interscope Records of Universal Music Group. YOU GO GIRLS!!! THEY'RE DOING AMAZING! Queens!! They deserve it and this is just the beginning.